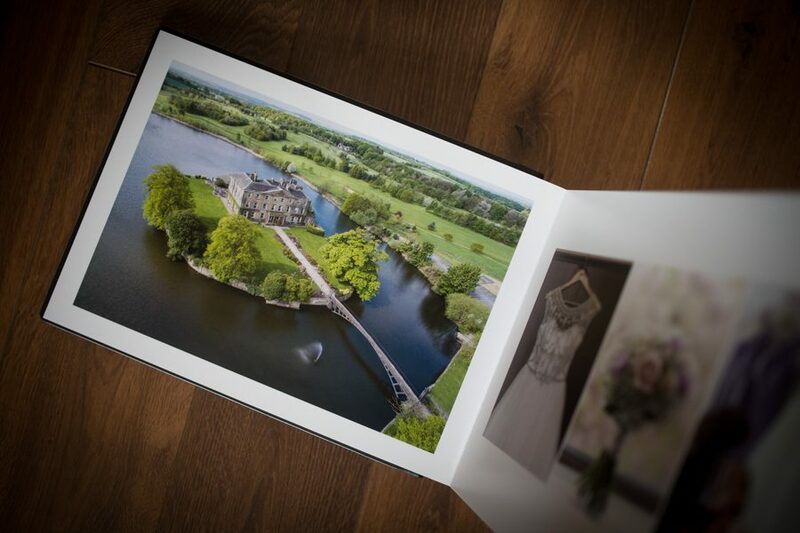 Our Classic display sample album features the wedding photographs of Sophie and Dave, who were married at Waterton Park Hotel near Wakefield. 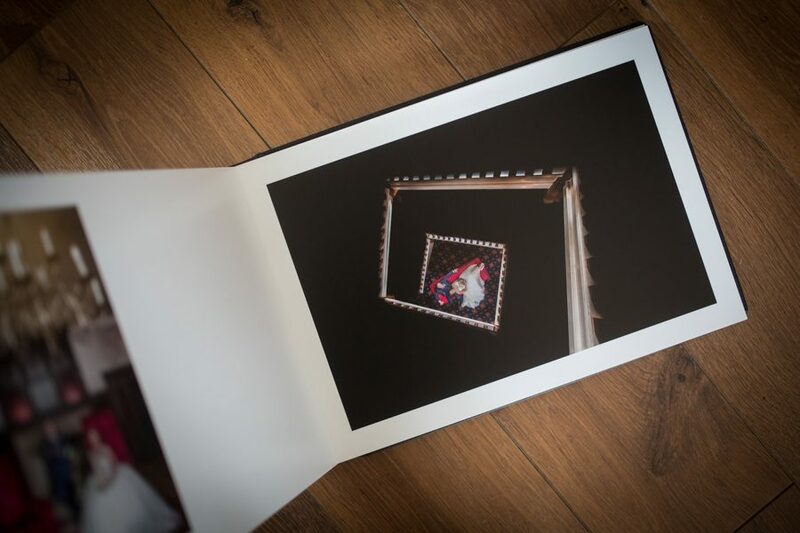 Their album features 57 wedding photographs over 40 pages and includes a stunning high gloss acrylic photo cover displaying a photograph at Walton Hall’s ubiquitous watergate. 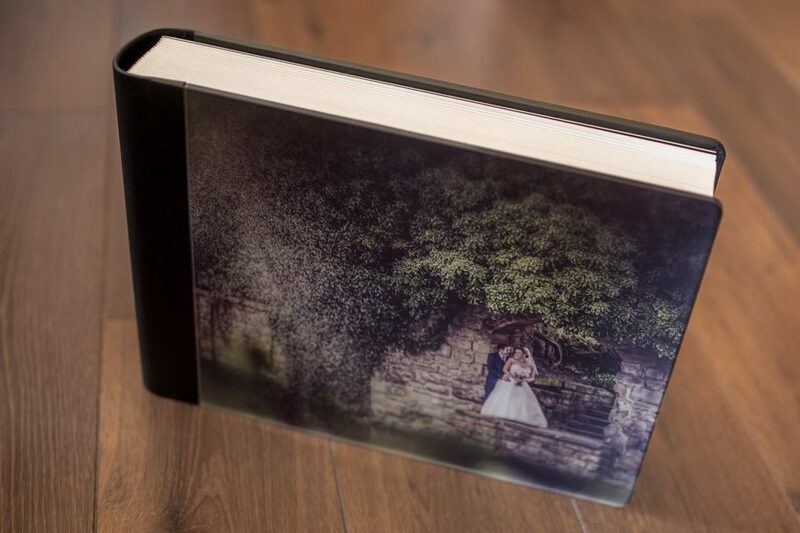 The Classic wedding photography photo album is a stunning landscape album featuring an acrylic photo cover and smooth flat pages. 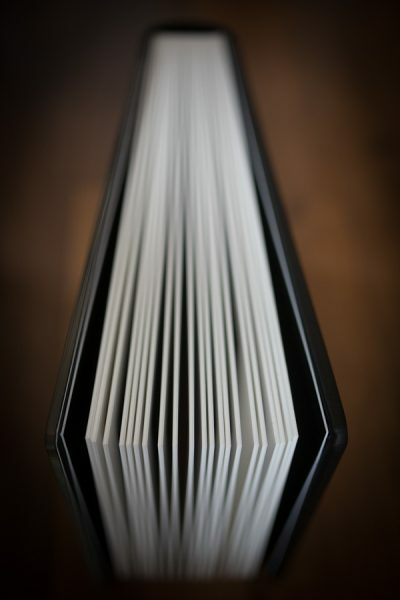 Measuring 14×10 inches and featuring an acrylic photo or leather cover, the traditional style of photo layout incorporates a modern contemporary twist by flush mounting each page to create a smooth feeling album capable of displaying upto three images per page. 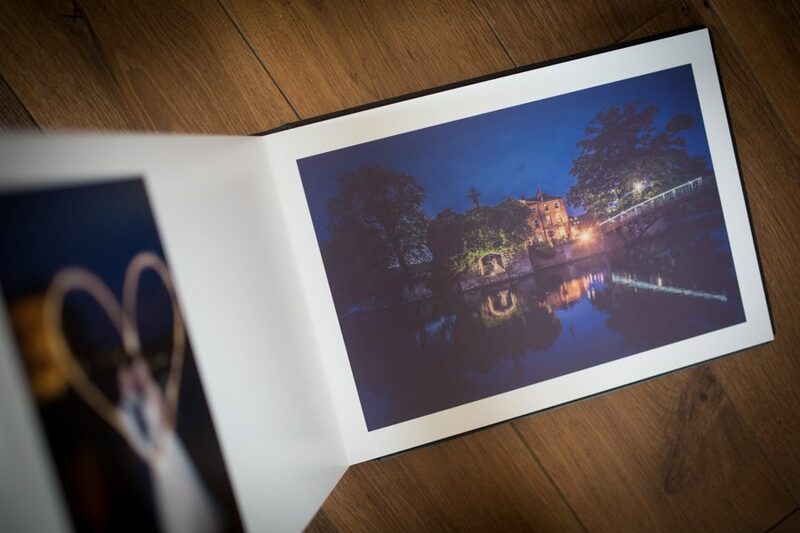 The Classic wedding album package includes a full days attendance at your wedding from preparation through to evening celebrations allowing your stunning album to tell the story of your complete wedding day.